I have always worked since leaving school, my parents worked when I was young and feel I didn’t see them much and don’t remember them spending much time with me as a child. I wanted a different life for my children. Not that my parents were wrong they did what they thought was right but I don’t feel it was right for me. When my first baby was born, I worked right up until the last possible minute, so I could spend what precious time I had off on maternity leave with him. Not sure that was the right thing to do, as I was induced due to pre-eclampsia. I spent the next six months off, trying to adjust to motherhood with my gorgeous, precious, non-sleeping bundle of joy. When I went back to work, I broke my heart all the way in and sometimes hid in the toilets tears rolling down my cheeks. I did get better but the guilt never left. Just before Lucas turned two, I finished up for maternity leave before my second child was born. This time I finished up a few weeks early to spend some time with Lucas before number two came along. Tyler was born in the January and this time I had nine months off. Albeit the quickest nine months ever it was long and I felt a little happier leaving a nine month old. My main concern about going back to work was that Lucas would forget who his mum was. I wanted to keep that precious bond we had made, I thought I would lose it to my mother or my in laws, whom I am lucky enough to have watch my babies when I am working. I didn’t, I am still as close as ever to both my boys. I still have the guilt every day I hate leaving them, but I feel I am a better mum for working. I love my job, I like having a career and being someone other than a mum. I do feel the four days I work is a bit more than I would like but needs must. The weekends, I try to get the cleaning and shopping out of the way as soon as possible but it can still take up one of your days. The other day and my day off during the week is spent, spending quality time with my babies. This week we baked, made playdoh, painted and watched some tv together. I make the most of our time. I still find it hard to balance everything, between the housework, shopping, work, being a good wife, being a good mother, blogging, twittering, being a friend, writing, reading and just life. Sometimes it all gets a bit much and I blow. Then it calms and I get on with it again. I still don’t think I have the balance right and still feel guilty. How do other people balance work and family life? I work 4 days a week and I have to work every 2nd weekend. I only do 4 hours a day so it's not too bad. I actually look forward to having some time to myself at work. On my days off we play games, bake, read or go for walks. It sounds like you have a pretty good balance but I know it can be hard leaving them. I wouldn't feel guilty about it though. They'll enjoy the time they spend with you because you'll be looking forward to that time with them. 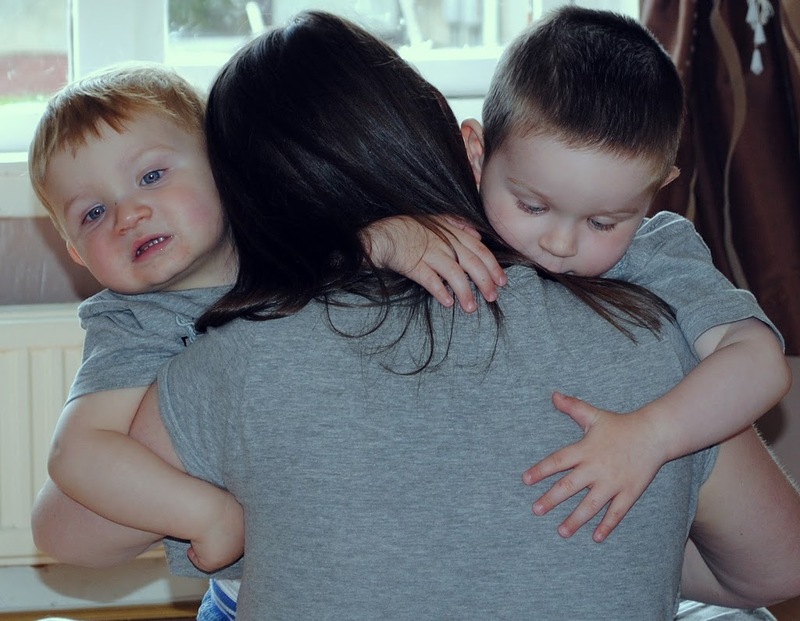 It is so hard, I don't think there is such a thing as a perfect balance, but you're doing a great job – the main thing is you spend quality time with your children.I don't feel guilty about going to work or bear going to nursery because he loves going so much – he's been going 2 days a week since he was 5 1/2 months old. What makes me feel guilty is when I let work spill over into what is supposed to be quality time. So don't feel bad about going to work because you do a great job, and it affords you that quality time.xxxp.s. you're so pretty you should post more pics of your face! I totally understand how you feel. When my stepson was in elementary school and I was working he used to cry when I dropped him off at day care in the morning and it broke my heart. He hated day care and he was going before and after school. I eventually quit working because by the time we paid for daycare and struggled to fit everything into our schedule it just didn't seem worth the hassle. I wasn't making enough money to make it worth it and my husband has a good job. I'm going to college now and its hard to juggle everything but some how we do it. I've done it all ways now. Went back to work 14 weeks after Big was born, and powered on getting promoted and working all hours. Then took redundancy when Small was born and was at home with them both for 2 years. Then went back to work and they went to Montessori, *then* started working at the Montessori with them.All I can say is no matter how you are doing it, there will be something that you slightly wish you were doing differently. And all you can do is the best as you see it on the day.Hugs.